Jessica Chastain, Idris Elba, Kevin Costner et al. DVD: 134 min., Blu-ray: 140 min. 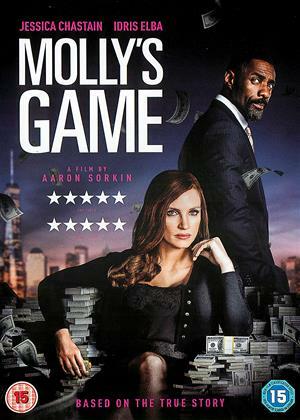 "Molly's Game" is based on the incredible true story of Molly Bloom (Jessica Chastain), a former Olympic-class skier who ran the world's most exclusive high-stakes poker game for a decade before being arrested by armed FBI agents. Her players included Hollywood royalty, sports stars, business titans and finally, unbeknownst to her, the Russian mob. Her only ally was her criminal defense lawyer Charlie Jaffey (Idris Elba), who learned that there was much more to Molly than the tabloids led us to believe. Really well made movie, even if I did not understand all the “poker jargon”, it didn’t really matter as it was such a great ( true) story. Jessica Chastain and Idris Elba are both superb and the complex legal fight towards the end is very well staged. I loved the movie, and I think Jessica is the most talented actress around now. Was looking forward to this film but one thing I cannot stand is narration throughout a film. Watched for a time then turned off. Could have been so much better without constant commentry. 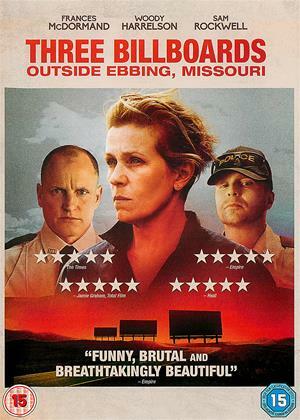 A watchable and mainly entertaining film that moves along avoiding too many dull moments. For me though it never builds any tension or drama and ultimately lacks pace . Additionally, few of the characters portrayed demonstrate much in the way of personality or interest, with the notable exception of Molly herself. That said it entertains, is well put together, easy to watch, but, it hardly challenges one's intellect. I enjoyed the movie. Some of the poker jargon got lost on me, but I don't think you have to be into poker to enjoy the film. I personally like true event movies, although this isn't a patch on Tom Cruise's 'American Made'. Still an interesting watch. Disagree with the negative reviews for this film. Engaging story with excellent acting. You don't need to know the mechanics of poker to enjoy the film. We thoroughly enjoyed the film and felt sympathy for the lead character from the beginning. Would recommend completely. Apart from a few fairly noteworthy scenes with Idris Elba and Kevin Costner, my one, or should I say two, lasting memories of this quite ordinary movie are in my review title. Some of the verbal exchanges are satisfying but this is a Aaron Sorkin film. Suppose have to go for a 3 as Idris is good in it. Supposedly based loosely on fact........bit like the drugs films, like Blow, tends to make heroes of people that make huge amounts of money out of criminal rip-off activities that ruin thousands of lives and families. Jesse James again. He was a very nasty criminal. Billy the Kid shot people in the back, from a distance, with a rifle, then robbed them. This lady scammed millions from an underworld activity including/using drugs and prostitution. 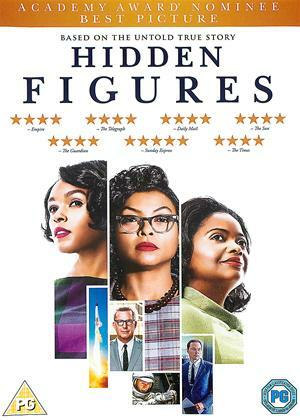 The film then sets her up as some laudable example of how to pick yourself up, and make free money.............the American Dream! All these films are about nasty people..........entertaining perhaps, but good role model?? A smart film which carried the viewer along at a fast pace without necessitating the need to know anything much about poker. The acting was great and the characters (and their relationships) were plausible and interesting. I liked the commentary and I enjoyed the story in general. The premise is a woman who starts off with goal of being an Olympic Skier, but ends up being drawn into the world of Poker Gambling because it makes her lots of money! So the theme here really is greed, avarice and getting one over on everyone else! I found it difficult to have any sympathy for the woman, given what she did, the fact that she made so much money but it was never enough and even when her life is threatened she still feels the need to make even more! Whilst it is a very long film and drags in parts,it also picks up the pace again, Idris is excellent and really the question is who really is the start of this film? There is a lot of cutting back to her teens, the current and again the past when she was setting up the gambling rings, so a lot of chopping and editing which gets quite confusing at times. All the Poker Jargon will go right over your head and is meaningless to most people, which may also lose a few on the way! All in quite a good film, but all the Skiing cutting back to her teenage life was a bit superfluous. I was intrigued by the background to the film and the fact that the events were inspired from real life. 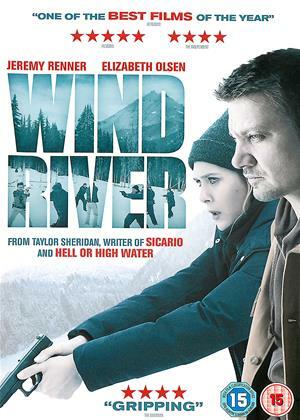 I enjoyed Jessica Chastain's portrayal of the main character but it was a superficial treatment which lacked depth. Whilst I enjoy much of Idris Elba's work he was unconvincing for me as the lawyer. Chose this due to the cast. Desperately dull is the best description. Iris Elba is good. Jessica’s role was empty and shallow and seemed to consist of a string of appearances in low cut pretty dresses and little else. We fell asleep 3/4 of the way thru and struggled to the end the next day. I had no sympathy whatsoever for the inhabitants of this particular world, one of whom freely admitted to being in it to destroy lives. What was destroyed for me were the last vestiges of relatability I might have had with any of these humourless and selfish types. At first this was a great fast moving and intriguing film. But there was little to give sympathy to any of the protagonists and as time went on I found myself not particularly bothered about the characters, then not bothered about the end of the film and finally bored. In director Aaron Sorkin’s own words, this is ‘a poker movie’. If you don’t like poker, give it a miss. If you don’t like incessant voiceover, give it a miss. Molly is a poker hostess. Her prattling, quick-fire voiceover, telling us everything we’re watching on screen, is a pain. Sometimes it’s more like listening to an audio book than watching a movie. Sorkin has previous in this, as a writer on The West Wing, but while verbosity may work on TV it rarely does on film. Another mistake is having the film’s structure alternate between a present-day court case and flashbacks of how Molly got there. This is never a convincing plot ploy. Giving the end game away merely makes the flashbacks predictable. There are even further pointless flashbacks to her childhood with her father. One suspects the script stays too loyal to the real-life Molly’s autobiography. The poker-game flashbacks zip along pacily enough if you’re interested, but the whole film lacks drama and amounts to little. Sleek, flashy and empty. There is some smart dialogue but any momentum is killed stone dead by the clunky reliance on flashbacks. It gives a peek into a horrible world of spoilt rich people with colossal egos who inhabit a hermetic world of super-exploitation. Strong acting, crackerjack dialogue (as you would expect) can't hide the fact that the sum of its parts is less than its whole. Do we really care about the characters? I didn't, but it's a slick movie asking you to root for characters that are basically sleazy. A really interesting story and great to see Kevin Costner again as Molly's father; a lot of the poker jargon went over my head which made understanding the film hard. At times it was far too technical and I was bored ..... could have done with more insight into the characters rather than the snippets provided. It was enlightening to see the greed that encapsulates these rich people - my views on the rich folk has not altered. Don't go out of your way to watch this. You don't need to know anything about Poker to enjoy the film. Just know about people. The pain of a childhood that feels wasted because it never reached the potential of others hopes and dreams. The anger at being let down. The gamble to make something of your life and then the ultimate pressure from those in power. I thoroughly enjoyed the acting and was convinced by the relationship of Father and Daughter. 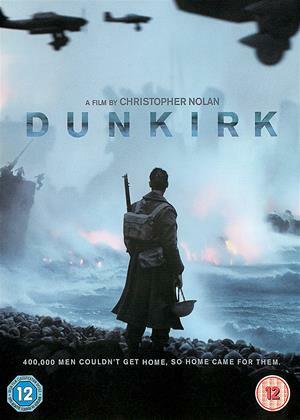 Without that the film would not have been so moving. I enjoyed the narration to explain the intricate parts and feelings of the lead character. First film I would want to see more than once in some time because despite the subject it was so convincing. Did not expect to but was really engrossed and involved by it.